Through your facebook newsfeed, tweets, or from your mobile, we all heard and eventually watched one of the most viral clips ever. It got us emotional, we liked the video, we retweeted it, we talked about it offline with our friends. Invisible Children’s campaign faced huge success that critiques jumped in with conspiracy theories, and accused it with many allegations like slacktivisim, and many more provocative ideas about the whole issue. However, here, we would like to highlight the mere success of a social media campaign from a marketing point of view. How did such a clip ignited a world wide rave on the web, created a household name, above all, will and is creating enough pressure on the US government to act. 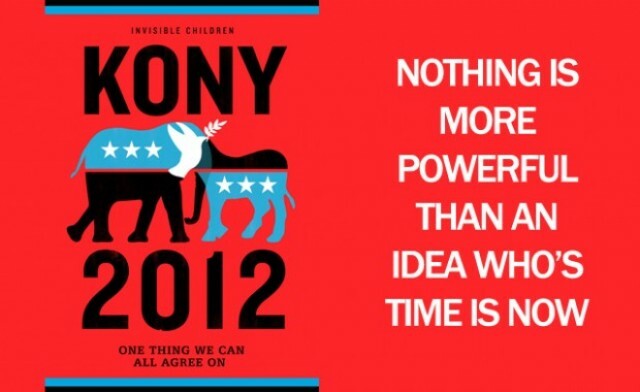 Below are some of the reasons we believe helped in the massive storm of Kony 2012. Power of a film: video still clearly the most powerful form of content on social networks, the core medium of the campaign, a well-edited film, which has great production value, injected with enough personal experience that relates to all of us: Your children’s future. The story was told in structured way that kony didn’t show up before the 9th minute. And the call for action came only at the end of the 30 min movie after most of us were in an emotional state to act. With small business angle “donate some dollars” and more focus on the greater cause. Influential figures: the campaign aimed high and went bold to smartly engage and involve big names, like Angeline Jolie, and George Clooney. Which usually has low access and would help in explosive reach, but has already worked on one celebrity so far: Justin Beiber already joined the cause. 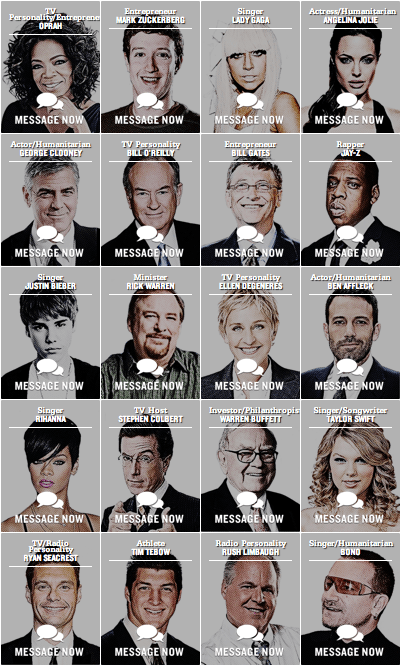 Website: clean and neat, the main landing page is very easy to navigate through, made easy for people to achieve the set objectives, Like signing the pledge, and they included the celebrities pictures with instant messages through a click you can mention Opera or Jay Z in a hashtag! The donate button is the last thing in the website, which also adds to the lack of sales angle. Sharable: give all the tools for people to easily share, the campaign’s hashtags are mentioned clearly, Barriers to spread the word were minimized and logistics were thought about thoroughly. Mediums: facebook page, twitter accounts, blog and video which was uploaded on youtube and vimeo to deliver the messge and engage the audience. All of these accounts were in constant communication with people, opened a conversation, answered them and encouraged them to share. Powerful branding: the visuals are very strong, well executed and nicely designed. It definitely played a big role in people’s acceptance of the campaign, creating the image, and stir interest to buy the kit. Honesty in backlash: after all the critiques had their materials out, invisible children acted quickly and posted a PR release on their blog that stated the exact amounts spent and how they deal with donations. And answered all questions and doubts out there. Honesty. Quickness. There are definitely many lessons to be learned from this campaign, and most probably, it changed the rules of the game and provoked enough ideas about the power of the people, and the power of an idea in the new connected world.